Lancôme, the global cosmetics brand part of the L’Oreal group, just cancelled a concert it was sponsoring in which Denise Ho, a pro-democracy Hong Kong singer was supposed to participate. Lancôme claimed the decision was for "safety reason". However, Denis Ho is a vocal supporter of the Umbrella movement and has been criticized by the Global Time, an official newspaper of the Chinese Communist Party. WHAT: Expose China's lies about Hong Kong's missing booksellers. Commends Mr. Lam Wing Kee, one of the missing booksellers for his courage in speaking the truth. WHY: When five Hong Kong booksellers were missing last year and then resurfaced on China's television claiming that they went to China mainland on their own, people were suspicious. How could one the booksellers, Lee Bo, entered mainland China without his Hong Kong ID which he had left at home? Lee Bo, who has a British passport, also renounced his British citizenship on TV. Yesterday, Mr. Lam Wing Kee, one of the five missing booksellers who were kidnapped last year, held a press conference in Hong Kong detailing his own ordeal of being kidnapped in China when he crossed into China mainland in October last year. Mr. Lam told the Hong Kong press that he was blind-folded, handcuffed and taken by train to the eastern city of Ningbo, about 13 hours away. He was interrogated and forced to sign a document admitting guilt for mailing banned books to mainland China. Eight months later, Mr. Lam was allowed to return home to Hong Kong on Tuesday. China's authorities expected him to go back to China yesterday instead Mr. Lam decided to tell the world the truth about his ordeal. Visual Artists Guild commends Mr. Lam for his courage in standing up for the truth. Sunday, October 23, is the 60th anniversary of the Hungarian Revolution. Having just returned from my first visit to Hungary, this anniversary carries a special poignancy to me. Visiting Budapest's University of Technology where the Freedom Manifesto was written, the Radio building where the Manifesto was announced and the Parliament square where the massacre of October 25, 1956 occurred, reminds us that the human desire for freedom can never be extinguished. For the Hungarian Revolution, parallels to China's 1989 pro-democracy movement and its subsequent Tiananmen massacre on June 4 are unmistakeable. Both protests were started by students and subsequently spread to all walks of life and to the rest of the country. Both ended in tragedy with tanks rolling into the city. Yet both inspired generations to come. The Hungarian Revolution brought forth the Prague Spring of 1968 no matter how short lived and the formation of Solidarity in Poland in 1980. China's 1989 pro-democracy movement though crushed, nevertheless led the water shed changes in eastern Europe that year. History does not happen in a vacuum. In 1956, China's Mao Zedong had urged Khrushchev to send in the troops to Budapest to put down the revolution just as in 1989 when Burma's military dictator advised China's Deng Xiaoping to use force against the student demonstrators in Beijing. The Hungarians in Hungary refer to the period of Communist rule as the Communist Era. I had asked a Chinese friend when can the Chinese people refer to this current period as the Communist Era? He responded it would be soon and that he would call it the Period of Tyranny. To the Hungarian Freedom Fighters who are with us now, to those who had passed from us and to those who sacrificed their lives so others may have freedom, we honor you and thank you. May the Hungarian Revolution be not just the beginning of the end of Communist tyranny in Eastern Europe but will soon be the end of Communist tyranny in China as well. In 2006 Visual Artists Guild honored twelve Hungarian Freedom Fighters at the 17th Tiananmen Commemoration event. Among those honored were John Dolinsky, Julius Jancso, Laszlo Sandor and others. Eva Szorenyi could not attend that year and was honored in 2007 and also had her 90th birthday celebration at the event. The Academy is planning to present an honorary Oscar to Jackie Chan on November 12, 2016. Please click the link below and sign the petition to oppose giving such an honor to Jackie Chan. I am writing in regards to this year's decision of the Board of Governors of the Academy of Motion Pictures to present an Honorary Oscar award to Jackie Chan. Having served on one of China's top political advisory committee, Jackie Chan has considerable influence regarding the government's policy of censorship of films as well as other artistic endeavors. Unfortunately, Mr. Chan has defended the Regime's censorship of films, thereby diminishing the basic human rights and civil liberties of its citizens. For instance, Mr. Chan had said, "I am not sure if it is good to have freedom." He further said, "We Chinese need to be controlled. If we are not being controlled, we'll just do what we want." Regarding the right to protest by the citizens in Hong Kong, Mr. Chan declared, "The authorities should stipulate what issues people can protest over and what issues are not allowed." Such statements and actions should make him ineligible as an honoree of this prestigious award. One may argue that the decision to give this award should be based solely on Mr. Chan's past work in kung fu films; however, would the Academy have honored Leni Riefenstahl, one of Nazi Germany's top propagandists, solely for her innovative filming technique, creative documentary production and directorship without taking into account of her subject matter? Jackie Chan may still redeem himself by using his unique position to promote the human rights of his fellow Chinese people. 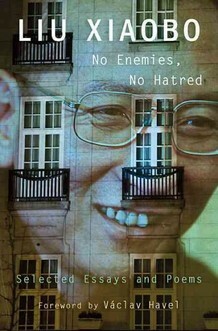 As a native son of Hong Kong, where he gained fame and fortune, he could start by encouraging the government of China to release Gui Minhai, a Hong Kong bookseller who was kidnapped and brought to China last year, along with four other Hong Kong booksellers, and was later paraded on television "confessing" to their "crime". To honor Jackie Chan at this time would be a slap in the face to all freedom loving Chinese people who value civil liberties; it is not only an endorsement of Mr. Chan's outrageous statements but also the legitimization of the regime's suppression of freedom of expression. Therefore, I respectfully urge the Board to reconsider its decision to honor Jackie Chan. Or a commemorative T-shirt depicting the images below. Please email us with your choice & shipping info.